With how many complexities are involved in such a situation, it's no wonder drivers are often confused about what rights and insurance coverage they have when driving abroad. If you are a United States citizen driving abroad, for example, should you purchase car insurance in your destination country or the U.S.? If you have an accident, will it appear on your driving record back home? Can you purchase insurance in another country with a foreign driver's license? In what follows, we'll address the answers to these and other questions pertaining to American drivers abroad as well as foreign drivers in the U.S. If you plan to drive a vehicle on your trip abroad, you should obtain an International Driving Permit (IDP) before taking your trip. Most countries will not recognize your state driver's license as an acceptable form of identification for foreign drivers. You can obtain an IDP from AAA (the American Automobile Association). More than 150 countries recognize International Driving Permits, so while the chances are good that your destination country will accept it, it never hurts to check with the embassy first. With regard to insurance coverage, most policies issued in the U.S. will extend limited coverage to American drivers abroad for a finite period of time. However, there are important exceptions. 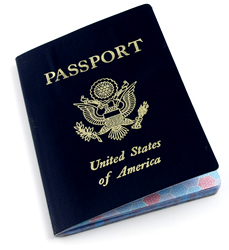 For example, if you are traveling abroad for business purposes, your personal policy may not cover you. Likewise, some U.S. policies will cover you in Mexico and Canada but not overseas. Always call your insurance agent before you travel to determine what coverage your existing policy will provide in another country. If your policy does not cover you in another country, you have two alternative means to obtaining coverage. First, you could purchase an overseas or international auto insurance policy from a third-party company in either your country or your destination country. Make sure the policy you purchase meets the minimum coverage requirements of the country to which you're traveling. Second, you may be able to purchase coverage from the rental agency that loans you the vehicle you'll be driving. You might also be able to get supplemental protection from a credit card if you have an accident with a rental car in another country. What you'll have to do to drive legally in the United States as a citizen of a foreign country depends primarily on how long you plan to stay. Your International Driver's Permit will typically suffice if you plan to stay fewer than 30 days, but after that point, you might need to apply for a state driver's license. Usually, your driving record from your home country will not transfer to your U.S. driving record, which means the carrier will most likely regard you as a brand new driver. Don't expect to receive the lowest rates at first. You will also need to show proof of insurance for the vehicle you are driving before you will be issued a license. If you plan on a shorter stay and will be driving a rental car, you can purchase insurance coverage from the rental agency or buy a traveler's insurance policy from an independent company. If you plan on borrowing a car while you visit the United States, the owner's policy will provide you coverage as long as you are not named as an excluded driver on the policy. The coverage follows the vehicle, not the driver, so you should be protected for the most part. However, keep in mind that if you file a claim, the insurance rates of the owner of the vehicle will rise, and he/she will be financially responsible for the deductibles.